If you are a game geek or a person who grew up in the 90s then this film is for you. 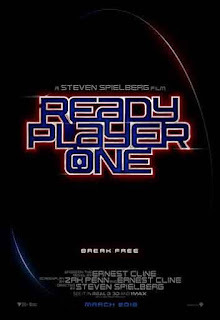 Based on Ernie Cline's debut novel, Ready Player One is set in the year 2045 in a dystopian world where people go online most of the time (seems like this is happening now). This world is called the Oasis and this is where most people do whatever they want to do. The new trailer gives us more into the story with James Halliday, the founder of Oasis, who tells gamers that he had died and left a massive massive easter egg hunt, whomever finds the eggs gets to own the vast Oasis and a huge amount of his fortune. Now that sets off a great egg hunt among the Gunters (Egg Hunters). As we said earlier, if you grew up in the 90s, there are lot of images herein that references to that era. From King Kong, to Harley Quinn and the Joker, to the cars Christine, KITT and the A-team van. Even gandalf, Chun Li, Freddy Krugger can be seen in some scenes. This film has loads and loads of references to our younger years. 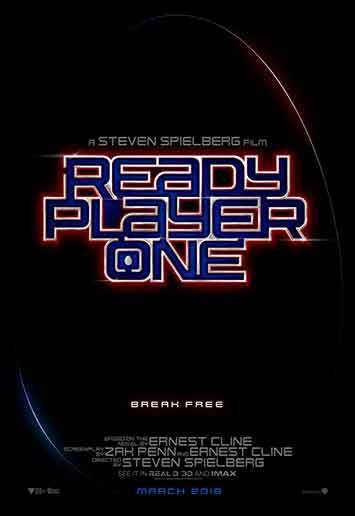 This film is poised to be a blockbuster in 2018 and Steven Spielberg will be happy again knowing most fans are anticipating this one.